So I put a poll in the side bar (which you should totally do!) and I saw that a lot of you guys want more hauls, so I have a mini clothing haul for you! But by mini, I mean mini. I only have two items to share with you guys today, but I am super excited to show you guys both of them! I got them from a boutique in a mall in my area, so I don't know where you can get these exact items, but I'm sure you can get something similar! The first item that I got is a really cool pair of jeans. They were originally $39, but I got them for $19.50, which is 50% off! 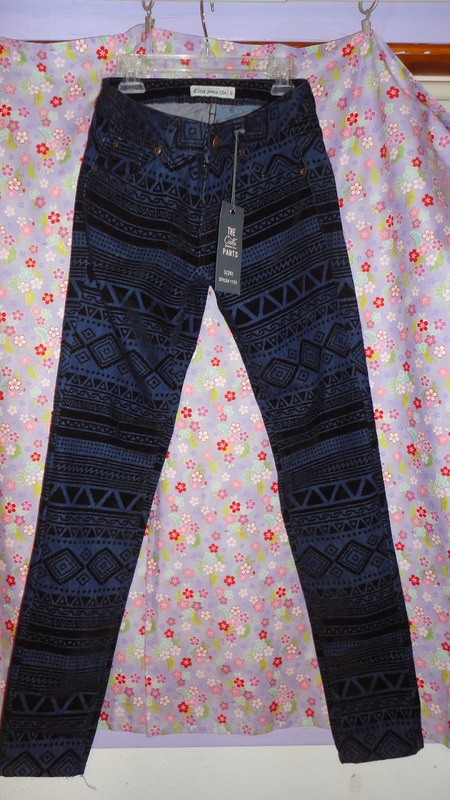 They are a basic pair of dark jeans, but they have a really cool tribal overlay. The overlay is a velvet type material, so it is textured and really cool! I have been loving patterned jeans, but this takes it to a whole new level because instead of paint, it's another fabric over the top of it! I will totally do a "how to style" post on this because I have a feeling I'm going to be wearing this a lot! This next item is a jersey maxi skirt. It is actually one of the only maxi skirts that fits me correctly because I am very short, so most of them drag on the ground. 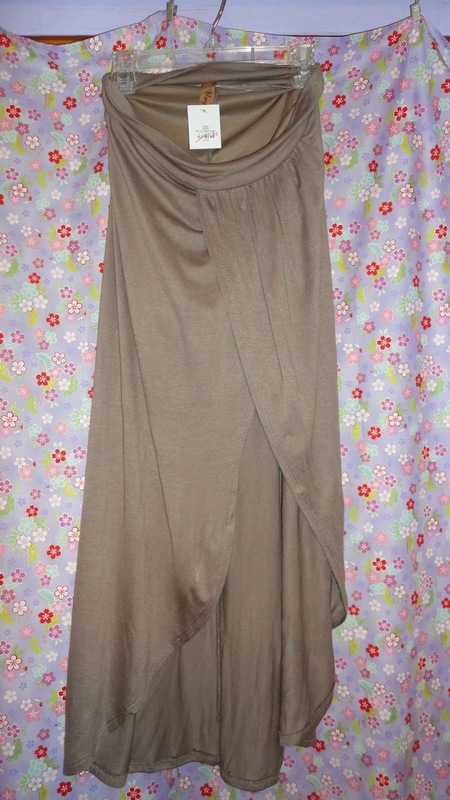 This maxi skirt is also amazing because it is draped and has a slit. It also has a lining underneath that goes to mid thigh so you're not going to accidentally reveal something that you don't want to. This skirt was originally $26, but I got it for $13. I love how drapey and flowy this skirt is and how it actually fits me without being too long. Nail of the Day: Edgy Confetti! Nail Of The Day + Mini Review: Yellow Confetti! Whooo! My 7th Liebster Award! Outfit of the Day: Comfy Clothes!